This phone is GREAT!Battery life is good.Size is good.Phone is the best! 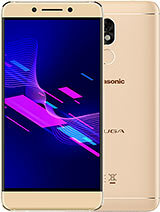 The phone is the smallest!This is the coolest phone on the market today.Performance is good.I rate the Panasonic G50 a 10!!!!!!!!!!!! Everybody has a flip phone, but nobody has a phone this small!everybody wants to see it.The phone is great!Works great. A great phone in every way!This phone is a solid 10!!!!!!!!!!!!!!!!! I like sth small, g50 fit my style, but like one said the battery is bad, and i can't find sofeware for g50. I have a G50, and will not advise to buy it anymore. Bad battery, display got blank after using it for some months and after getting repaired it, again got blank display. 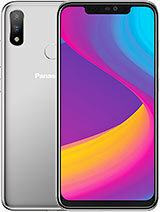 It is just a show off phone. I have a G50 and it is not a bad phone but the keys are to small to send msgs but its nice to show off with, with your friends...can any1 tell me what the price is though? this is not a comment but can sum1 pleez help! i have a g50 and the contrast had suddenly gone dark...whoever has a g50 could they pleez send a step by step walkthru as to make the contrast adjustement lighter (considerin dat i cant see da screen)...pleez send to maximumrisk75@hotmail.com...any help would be appreciated...and i gess there for i do hav an opinion...afta time the g50 can mess up. A friend of mine has got one phone like this. I guess it's nice and so on,but toooooooo small! And it doesn't have special features so if you need just a phone to can talk and send SMS from it,it's perfect,but if you want kind of laptop,camera,video,etc,it's not. like this is the cutest phone ive ever seen in my life it'll be a dream if it has an fm-radio what do you think guys agree? very cute phone with good sound tunes and good reception. the key-pad is better for someone with delicate fingers. good show-phone though. i sold it for something more sophisticated. My situation is similar. I set my phone alarm last nite and it didnt go off this morning and when i eventually woke up, i looked at the phone and the screen was going crazy, i went into the menu and it was still going crazy, moving from side to side and slowly the menu was going off the screen. I switched it off and when i switch it back on, all i get is a dark blue screen and the buttons light up, nothing else. i havent dropped it or anything, i treat it like a lump of gold! can anyone help? can sum1 help me, iv got a g50 and its just stoppid working on me and isnt turning back on. what do i do?????? Im a guy and used this fone 4 a year, i have since change to a samsung e600 and currently a motorola v3 razr. it was always grabbing peoples attention when i was out clubbing and girls always took it off me 2 play with it! the buttons were very small, but fone convenient size. I do think this is a girls fone but took me a year to realise this. Features r ok, but not great. 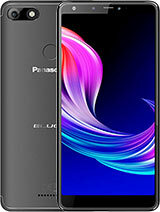 Go for this fone if you r a young girl, you wont b disappointed. Ok, i've had this phone for a year, and have to say i have mixed feelings about it. First of all, it's small and neat, and the number buttons are easy to press (as someone mentioned before, easier than the larger top buttons). I'm mystified by people who claim it's 'ugly' - has anyone actually *seen* one? It's a lot better looking than a lot of Nokias,let me tell you....but unfortunately, the functionality is not quite as straightforward as most Nokias! Are you going to be irritated by the lack of speed-dialling? (i am!) and the inefficent way the menu is constructed (the 'shortcut' option just isn't enough of one!). The biggest design flaw, however, is the keypad lock - someone has been silly enough to make it a matter of pressing the same button three times over, which means it is always coming unlocked in my bag! It's true that battery life is a bit poor and the phone doesn't really give you enough warning before it goes dead either. However, like the G50, the chargers are so tiny that you can carry them around in your bag easily. In the G50's favour, it is definitely unique and an attention-grabber. 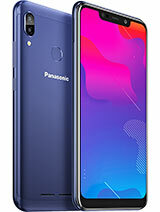 Panasonic certainly seems to lead the way in designing phones that are innovative-looking (if a little ropey on the functional side of things sometimes! )and should be applauded for being daring. It's also a delight to be able to fit it into almost any pocket (until the keypad comes unlocked, that is!!) and the ringtones amd games are cute and fun. I wouldn't hesistate to buy one for a teenage girl, and it's been entertaining (if a little frustrating!) for 28 yr old me for a year now. A little bit of re-design on the interface side of things would go a long way. It's nearly time for a upgrade, however. 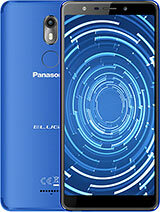 I'd like to buy another tiny panasonic, and hope to find they've resolved the annoying locking issue, added speed-dialling, and given you a scheduler that actually *alerts* you when an appointment is imminent (what's the point otherwise??). Whatever they come up with, i hope they continue with their weird and wonderful designs. 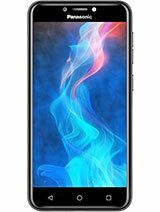 I JUSt bought this phone and i LOVE it...for those people that cussed it out..they have way too high expectations! Its so cheap and it offers everything u need to make a call and recieve a call! And i have gotten so many comments on its cute looks! It is simple, elegent and cute! No problems so far!